According to the dictionary, charity means “the volunteer giving of assistance, mostly money, to the one in need.” All the religions stress on alms for the distressed and the dejected people. Nature has blessed many people with immense wealth and they are rising and shining in the world. Such people are mostly popular for their charitable activities. Moreover, there are many global charitable organizations that are working for the uplift of the distressed mankind. Below is a brief introduction top 5 charitable organizations. American Red Cross has been rated the world’s best charitable organization because it acts promptly when any natural calamity struck the US. This donor provides shelter, food and clothing to the victims and most important of all, blood is ensured during calamities to overcome any case of emergency. According to some estimates, the American Red Cross offers its services during approximately 70,000 disasters in the US each year. The Red Cross is a government agency, but it works with other agencies as well to reach out to the victims. United Nations International Children’s Emergency Fund (UNICEF) is a UN agency, providing funds for children around the globe on a wide scale. 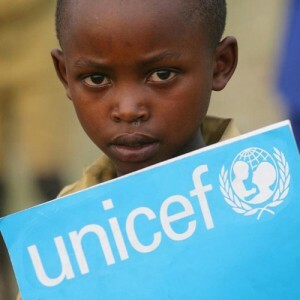 UNICEF believes that a healthy child means a healthy world and under this motto, this organization is striving in nook and corner of the world to ensure gender equality, equal rights, basic education and elimination of HIV/AIDS among children irrespective of caste, creed, religion and nationality. UNICEF helps every child to begin and live a prosperous and healthy life. The Hope Foundation is a global charitable organization, working in areas of education, poverty, women empowerment and health. It has its offices in many parts of the world with an aim of providing best lifestyle for every gender; be it man, woman or a child. The American Heart Association is a US-based non-profit organization, fighting cardiovascular diseases and stroke. It aims to ensure a healthy life to every human being irrespective of the gender and age. This organization was founded by 6 cardiologists in the year 1924 but now, it is head-quartered in New York with around 144 local offices and 2,700 employees. Toys for Tots Foundation is in real sense engaged in bringing smiles on the hundreds and thousands of children by donating toys to them.